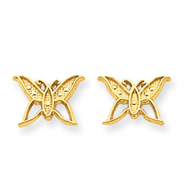 Metal: 14K YELLOW GOLD Weight: 0.24g Post Hollow Polished These post earrings come with silicon clutches as shown on the picture. 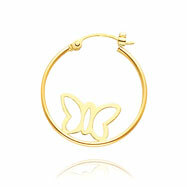 These clutches provide extra safety and invisible look. 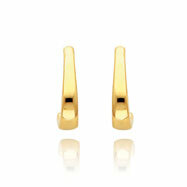 Metal: 14K YELLOW GOLD Weight: 0.38g Post Hollow Polished These post earrings come with silicon clutches as shown on the picture. 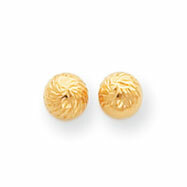 These clutches provide extra safety and invisible look. 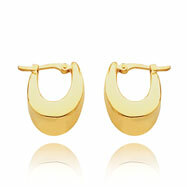 Metal: 14K YELLOW GOLD Weight: 0.43g Post Hollow Polished These post earrings come with silicon clutches as shown on the picture. 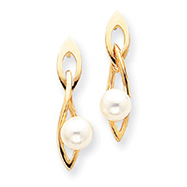 These clutches provide extra safety and invisible look. 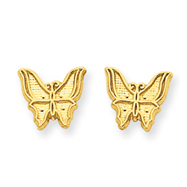 Metal: 14K YELLOW GOLD Weight: 0.48g Post Hollow Polished These post earrings come with silicon clutches as shown on the picture. 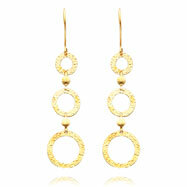 These clutches provide extra safety and invisible look. 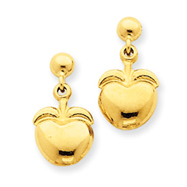 Metal: 14K YELLOW GOLD Weight: 0.62g Post Hollow Polished These post earrings come with silicon clutches as shown on the picture. 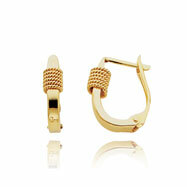 These clutches provide extra safety and invisible look. 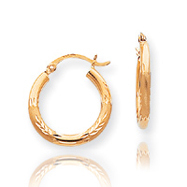 Metal: 14K YELLOW GOLD Weight: 1.12g Hollow Polished Post More Information: Art Nouveau inspired, these J-hoops have a more slender and contemporary shaping, that enhances the shine effects of the polished finish. 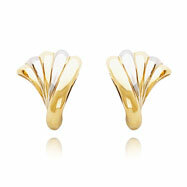 Magnificent! 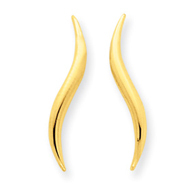 Metal: YELLOW GOLD Size: 2x20mm Post Open back Polished More Info: Add modern style to any ensemble with these wavy post earrings. 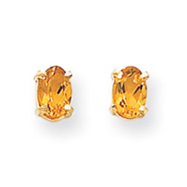 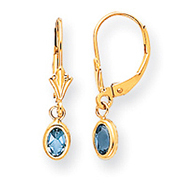 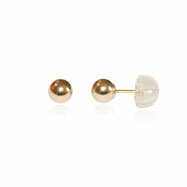 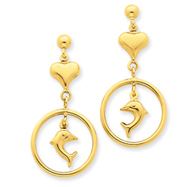 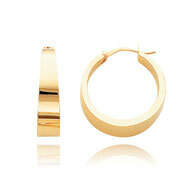 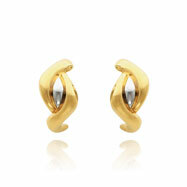 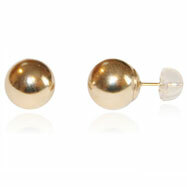 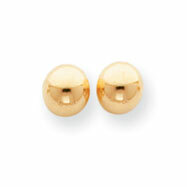 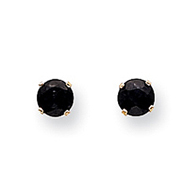 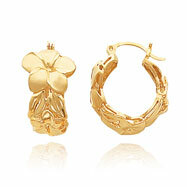 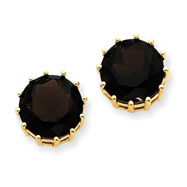 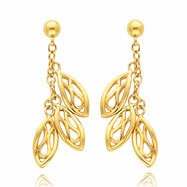 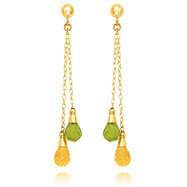 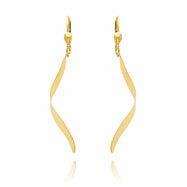 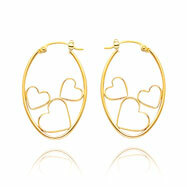 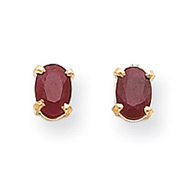 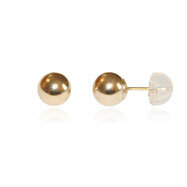 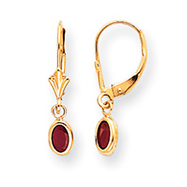 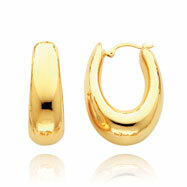 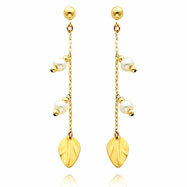 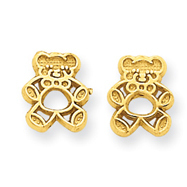 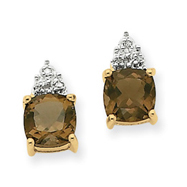 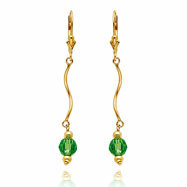 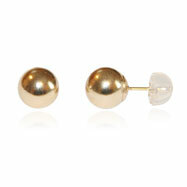 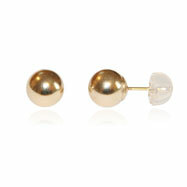 14K Yellow Gold is used to craft this curvy pair and the earrings are polished for maximum shine.